Boston Terriers are just way too cute in their little tuxedos! 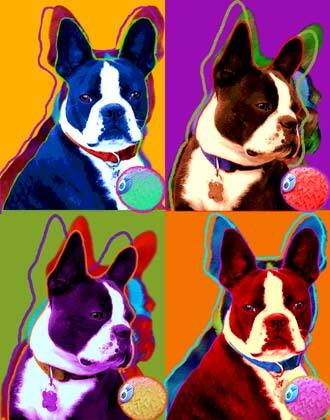 Over the years we have created many Boston Terrier portraits. 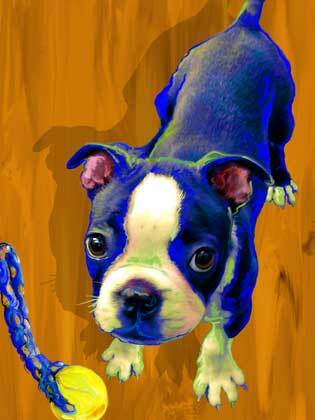 Check out a few of our Boston Terrier clients by clicking the thumbnails to the left or visit our Boston Terrier Gift shop for some cool ideas for the Boston lover in your life. 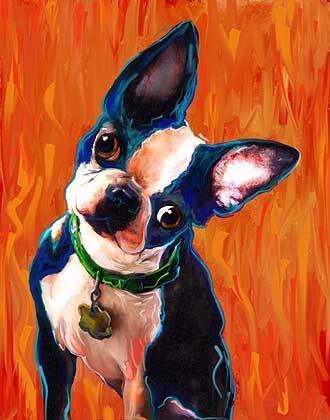 Don't forget that we can immortalize your little Boston Terrier, too!